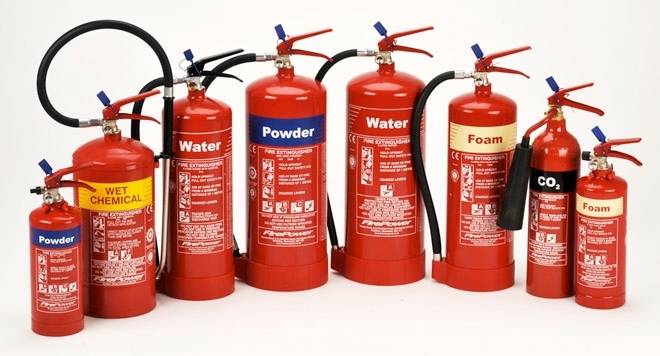 We have a large stock of fire extinguishers, signs and fire points available for hire at your event. Hire starts from just £3.00 per unit per day. Should you wish to hire our extinguishers but use your own staff, we can provide a fire marshal training package, including on site extinguisher training, using different types of extinguishers. The costs depend on how many staff and your geographical location. Fire points can be positioned around your site to cover the whole area. Each post has a fire action sign detailing what to do in the event of a fire the type of extinguisher at that fire point and how to operate. Alarmed call points can be provided at an extra cost. A qualified engineer can be on site 24 hours to replace or recharge any extinguishers if required. Regular Fire Safety Checks – It is paramount that fire regulations are carried out, not just by campers but traders, exhibitors and visitors as well. Regular patrols around your site will ensure this and that Fire points are maintained. Fire Marshal Duties – To maintain Local Authority Entertainment Fire Regulations, and the Fire Precautions Act 1971, we can provide fire marshals and fire extinguishers in the entertainment areas. Our crews are trained in all aspects of fire protection from keeping fire exits free from obstructions to being on hand to respond to an incident and evacuation of the public if necessary. 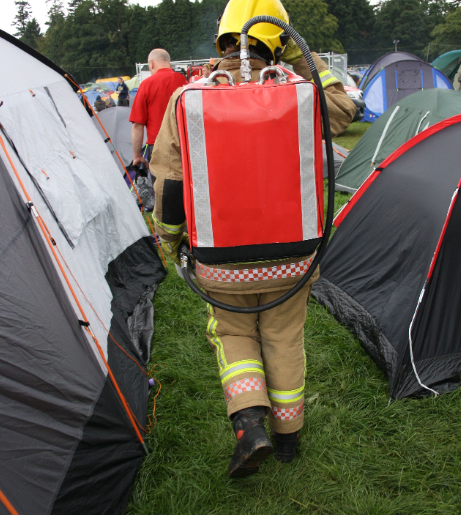 Public Awareness – We aim to provide advice on camping fire protection, not just for the public but exhibitors and traders too. Our uniformed fire officers are trained in public relations and are able to deal with queries regarding all aspects of showground fire prevention and safety. Here at Elite EMS, we strive to provide a quality service at a price you can afford. We are commited to making your event / film set a safer place to be. Our fire extinguishers are supplied with the British kite mark and are maintained according to British standards by our own BAFE qualified engineers. Our vehicles and equipment are checked and maintained by qualified staff and contractors. Our frontline staff receive comprehensive training and work within the home office risk assessment guides. We have comprehensive insurance cover in place for our vehicles and equipment, we also have £5,000000 public liability and £10,000000 employers liability insurance to cover all eventualities.